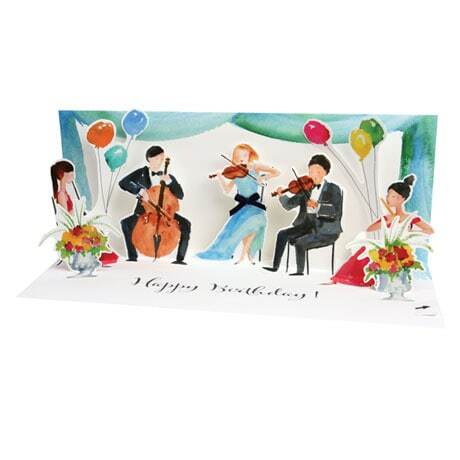 Send a private concert to a loved one with our Classical Music Pop-Up Birthday Card. 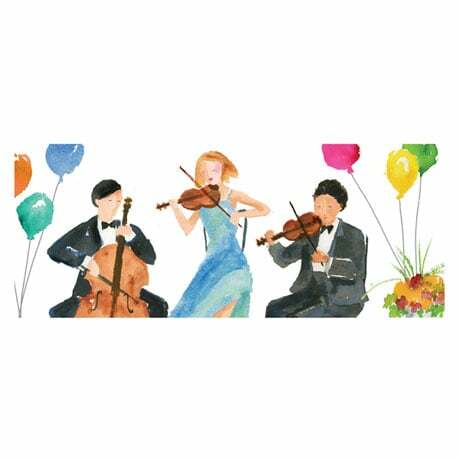 This 3¾"x9¼" card features a 3D panorama of chamber musicians; with the pull of a tab, it plays an orchestral rendition of "Happy Birthday." 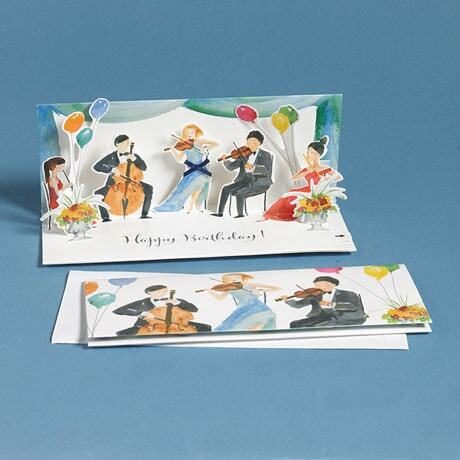 There's plenty of room on the back for a personal message, and the recipient can display the scene on a tabletop or mantel, making it a pretty decoration as well as a heartfelt greeting. Includes envelope; extra postage required.